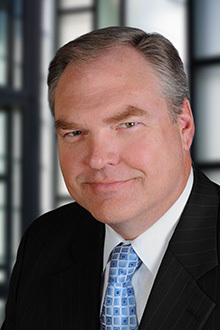 Los Angeles Partner George Nowotny has been elevated to the rank of Advocate within the American Board of Trial Advocates (ABOTA) and elected to membership in the exclusive California Medical Legal Committee, a group limited to 60 California-based attorneys specializing in medical malpractice defense trial experience. Mr. Nowotny is co-chair of the National Healthcare Practice and chair of the firm’s Elder Law Practice. He is also national Specialty Counsel for two large multistate insurance companies and the largest national Assisted Living Operator. Read more about Mr. Notwotny’s experience here. ABOTA is a national association of experienced trial lawyers and judges who are dedicated to preserving the civil jury trial and educating and training trial lawyers. More than 40 Lewis Brisbois trial attorneys have been inducted into the association. View the full list of Lewis Brisbois’ ABOTA members here.